Bar-Yam, Y. (1997). Dynamics of complex systems. Reading, Mass. : Addison-Wesley. Chi, M. T. H. (2005). Common sense conceptions of emergent processes: Why some misconceptions are robust. Journal of the Learning Sciences, 14(2), 161–199. Chi, M. T. H., Roscoe, R. D., Slotta, J. D., Roy, M., & Chase, C. C. (2012). Misconceived causal explanations for emergent processes. Cognitive Science, 36(1), 1–61. Goldstone, R. L., & Wilensky, U. (2008). Promoting transfer by grounding complex systems principles. Journal of the Learning Sciences, 17(4), 465–516. Hmelo-Silver, C., & Azevedo, R. (2006). Understanding complex systems: Some core challenges. Journal of the Learning Sciences, 15(1), 53–61. Hmelo-Silver, C. E., & Pfeffer, M. G. (2004). Comparing expert and novice understanding of a complex system from the perspective of structures, behaviors, and functions. Cognitive Science, 28(1), 127–138. Jacobson, M. J., & Wilensky, U. (2006). Complex systems in education: Scientific and educational importance and implications for the learning sciences. Journal of the Learning Sciences, 15(1), 11–34. Johnstone, A. H. (1982). Macro and microchemistry. School Science Review, 64(277), 377–379. Johnstone, A. H., (2006). Chemical education research in Glasgow in perspective. 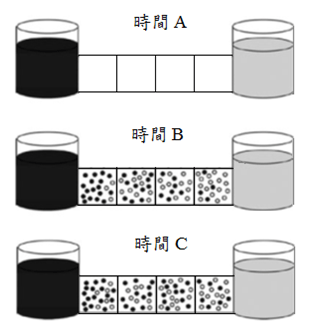 Chemistry Education Research and Practice, 7(2), 49–63. Mahaffy, G. P. (2006). Moving chemistry education into 3D: A tetrahedral metaphor for understanding chemistry. Journal of Chemical Education, 83(1), 49–55. Stieff, M., & Wilensky, U. (2003). Connected Chemistry: Incorporating interactive simulations into the chemistry classroom. Journal of Science Education and Technology, 12(3), 285–302. Treagust, D. F., Chittleborough, G., & Mamiala, T. L. (2003). The role of the submicroscopic and symbolic representations in chemical explanations. International Journal of Science Education, 25(11), 1353–1368. Wilensky, U., & Reisman, K. (2006). Thinking like a wolf, a sheep or a firefly: Learning biology through constructing and testing computational theories—an embodied modeling approach. Cognition and Instruction, 24(2), 171–209. Wilensky, U., & Resnick, M. (1999). Thinking in levels: A dynamic systems approach to making sense of the world. Journal of Science Education and Technology, 8(1), 3–19.